For those wanting to fine tune their skills or to kick start their training with one to one tuition, the Institute offers an introductory service to assist you to arrange a private training schedule with any of our experienced instructors. 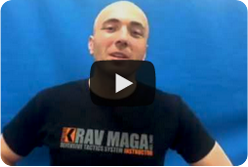 The Institute of Krav Maga UK operate an fee-free introductory service to put you in touch with one of our team to discuss your private training requirements. Private training is offered daily, subject to instructor availability. Please complete the form to the right and we will arrange for one of our Instructor Team to contact you directly. Private tuition rates can vary dependant on the location where you will train, the amount of sessions you would like to train per week and if you would like to book sessions in advance. Discounts may be applied for block or small group bookings (maximum 4 people).